Finally my contributor copies of Skelos 3: The Journal of Weird Fiction and Dark Fantasy by Skelos Press have arrived! I've been waiting months for these. 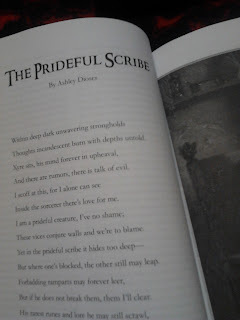 My poem, The Prideful Scribe, appears within. Darkling’s Beasts and Brews by Lycan Valley Press Publications is an interesting anthology that pairs drink recipes with dark poetry. When I first heard the open call for this, I knew I had to submit something. Not only did I submit a poem, but a few drink recipes as well which all have found a home inside these pages. My poem, The Power of the Moon, appears inside and is the only werewolf poem I have ever written. This book is, unfortunately, not yet out and currently has no set release date. So I shall tease you all with the ToC and cover art until there is a link to purchase it. I am so excited for the collection. Today I am a guest blogger on The Warrior Muse, run by Shannon Kenoyer Lawrence for Women in Horror Month. You can find my article, Dark Enchantment, republished here from the Official Newsletter of the Horror Writer's Association, December 2015/Volume 25, Issue 185. The following piece first appeared in the Official Newsletter of the Horror Writer's Association, December 2015/Volume 25, Issue 185. I was in middle school when Edgar Allan Poe became my influence in becoming a poet of dark and Gothic verse. I have always been a huge horror and fantasy fan and he filled my horror craving in poetry. It wasn’t until a few years ago that I found my craving for fantasy and dark fantasy poetry fulfilled as well. The poetry of Clark Ashton Smith struck me in a way only Poe had struck me before. His poems were rich in imagination and his words were so spell-binding that they read like an enchantment from my lips. His poem “The Witch with Eyes of Amber” is such an example. With those first two rich, enticing lines, that poem begs to be read aloud and so should all poetry. A poem should be written in such a way that it enchants all who hear it. For dark poetry as well, a poem should begin with a grabbing line and end with a line that will haunt the reader after they’ve finished it, just like any horror fiction piece. Smith is known for using elaborate and, oftentimes, difficult vocabulary, but one needs not a dictionary to evoke stunning imagery. 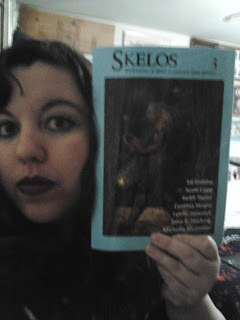 My poem “Witch’s Love,” published in Centipede Press’ Weird Fiction Review 5, compares a witch’s lover to various images of nature and is written in iambic tetrameter, which lends itself to a musical beat when read aloud. As red as Hades’ grandest pyre. His heart, at once, was in my clutch. His love is master of my will. The diamond from the ash and soot. For I alone enrapture him. For I choose love not on a whim. I am his witch and he, my love. And temper his poisonous high. Each line is wrought with words to evoke one of the senses and creates a picture to shape the reader’s imagination. The vivid colors, the thick lavender scents, the smooth feeling of silk, and the sweet taste of honey can all be conjured forth with a reading. I’ve heard that not all poetry should be beautiful, but doesn’t the very word inspire beauty? When you watch movies and a character executes a memorable line, isn’t it often remarked as being almost poetic? When you watch a romance, doesn’t poetry come to mind? Well, when it comes to horror, beauty can be a bit more subjective. The beauty of words and the evocative images they evoke are not just limited to fantasy or even dark fantasy for that matter. This is also what makes it fun to write dark, horror-filled verse. Is your poem aimed to inspire fear or is it written to disgust your audience? What senses would you want to conjure up? Make your audience taste the blood spilled in your verse, conjure that metallic taste, and that sticky hot mess on their fingertips. Make your audience feel the cold steel of that dagger or the acidic taste of poison on their lips. Inspire fear with the magic of words that will slice through the tension-filled air. 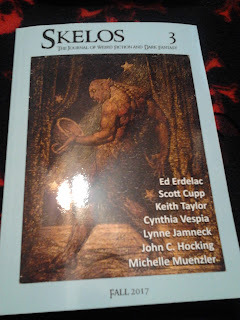 My poem “Carathis,” published in Hippocampus Press’ Spectral Realms No. 1, and also chosen for Ellen Datlow’s Year’s Best Horror Volume Seven recommended reading list, is written after the character from William Beckford’s Vathek. She is a dark sorceress who is the epitome of evil and, in writing this poem, I tried to replicate the sense of dread I felt when she appeared on the page. Belonged to the dark Sorceress of high Samarah. Fools only would court this dark queen whose mouth is marah. Her heart was ice within a cage of blackened bone. Carathis was her name, and she would rule alone. She decked her walls with hanging bodies all alight. And mummies who attended to her brews of newts. She practiced rituals, with offerings spread out. An entrance to the Palace of Subterranean Fire. A place of treasures and rare knowledge to desire. Were needed to appease her gods of pain and Death. Could easily be stilled, for passage down below. Into the palace where, awaiting, was Eblis. 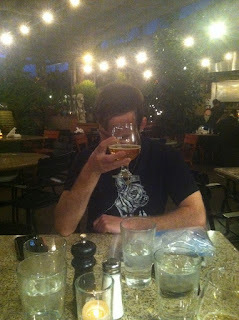 And offered food and wine, which eagerly, she drank. Her heart burst into flames with a heat like the sun! As her shrill screams forever echoed in his walls. A poem should have beautiful language. Beautiful language, not necessarily the theme, makes a beautiful poem. If you describe the stiffened contours of a lifeless lover or the mangled cadaver of your latest plaything, then describe it richly, beautifully, darkly. Show the details of her crimson-stained hair or conjure the scent of his aged and rotting flesh. Do not spare a single psychotic notion in your verse. David Park Barnitz, the author of the Book of Jade, is a perfect example of an author who could spin such enchanting language while describing a corpse. For example, consider these lines from Barnitz’s poem “The Grotesques”: “As one that the sweet pangs of passion bore. / And from its passionate mouth’s corrupted sore, / And from its lips that are no longer red,” (8-10). A dark romance with a fallen lover makes me wonder how long ago those lips were still red! I can feel his passion and can imagine the corpse from these lines. It creates a heavier blow than simply telling me he has lain with a dead body. The language is striking here as it is with the rest of the poem. Now enough of love! Excuse the romance, and let’s get back to the horror. Not everyone wants romance in their horror and dark verses but that doesn’t excuse the lack of that enthralling language. Let’s look at another one of Barnitz’s poems, “Corpse.” “A dead corpse crowned with a crown of gold / Sits throned beneath the sky’s gigantic pall; / Gold garments from its rotted shoulders fall,” (1-3). A very fitting image for the title and it does not disappoint. With a title as captivating as “Corpse,” you should expect the poem to cover, well, the corpse. A lot of images come to mind when reading or hearing that word. If you have such a title that you have your poem wrapped around, do not disappoint your readers with lack of imagery. Make your images, your lines, your verse more haunting than any image they can conjure up. If you aim to strike fear, rather than repulsion, with your verse, not too many examples can instill the demise of Man and conquer that feeling with the last two lines of Poe’s “The Conqueror Worm.” “That the play is the tragedy, ‘Man,’/ And its hero, the Conqueror Worm,” (39, 40). Whether you wish to instill fear, repulsion, or drear lamentation, do it with your language. Even if the horror is subtle and only hinted at, enthrall them with your language. Poe did an excellent job at hinting at the demise of his narrator in these famous last lines from “The Raven.” “And my soul from out that shadow that lies floating on the floor/ Shall be lifted—nevermore!” (107, 108). Spin your dark enchantment around your readers and spellbind them with words they can ever be haunted by. 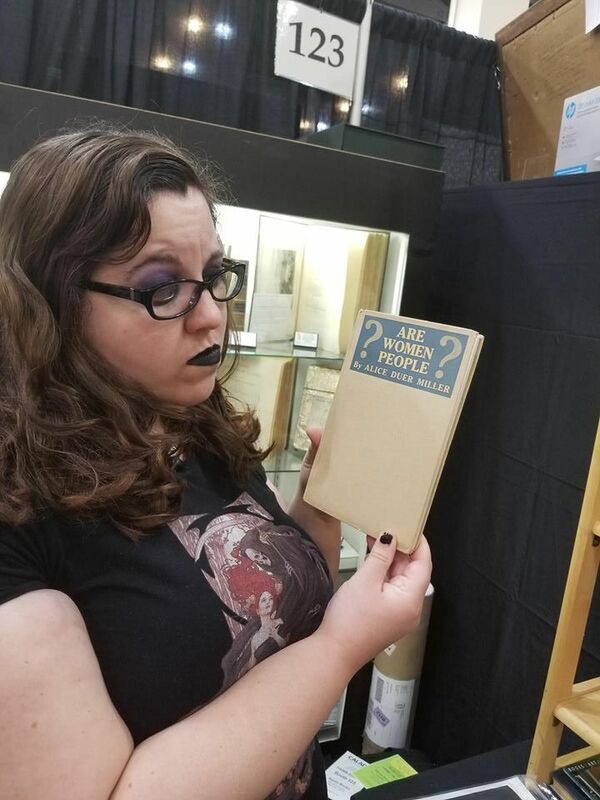 Kyle and I attended the 51st California International Antiquarian Book Fair in Pasadena on Sunday for the first time and had a blast! 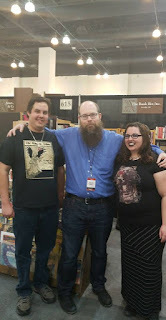 We were happy to see Obadiah Baird, editor of the Audient Void, who came down from Oregon to be a vendor of the Book Bin. 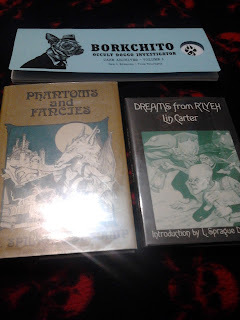 I supported the Book Bin by buying a signed edition of Phantoms and Fancies by L. Sprague de Camp. Later, we met up with the mysterious Sam L. Edwards, author of Borkchito: Occult Detective. I was glad I could convince him to join us. I keep strict records of where, when, and what I've submitted to throughout the years, starting when I first subbed my work in 2011. Here is just an interesting list of rejections and acceptances for the curious. 8 years of submitting work. Incredible. Test Patterns edited by Duane Pesice from Planet X Publications (2017) is reviewed by Des Lewis on his blog. 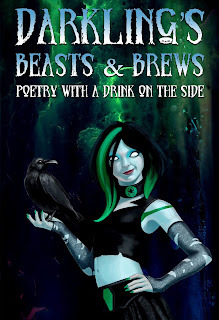 Stories and poetry from Matthew M. Bartlett, Philip Fracassi, Cody Goodfellow, Joe Pulver, Rob F Martin, Sean M. Thompson, Jill Hand, Sarah Walker, Brian O'Connell, Russell Smeaton, Frederick J. Mayer, K. A. Opperman and Ashley Dioses. Here is what he had to say on my poem, Hands of Chaos. I have not yet received my contributor's copy so full ToC will be posted then.